Funny Canoe Moves – Why? A Great Quietwater Canoeing Weekend! 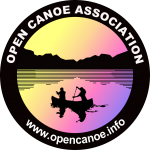 Welcome to our “Quietwater Plus” Canoeing Community!